Friday Night Fights: THUNDERSTORM! Prize Fight - You Know What Happens To A Giant Robot When It Gets Hit By Lightning? 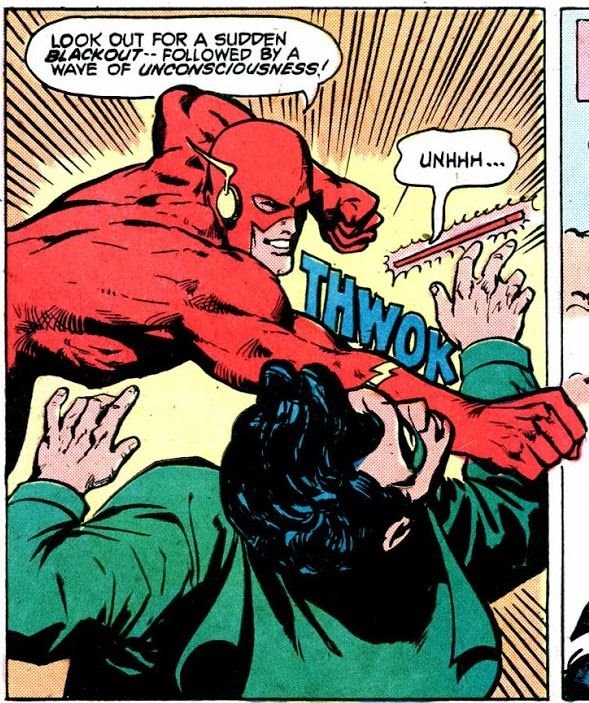 every fight should reference some kind of severe weather. The reason for my reaction? Because I had just posted a fight that was a perfect fit for those qualifications. In Round 12. 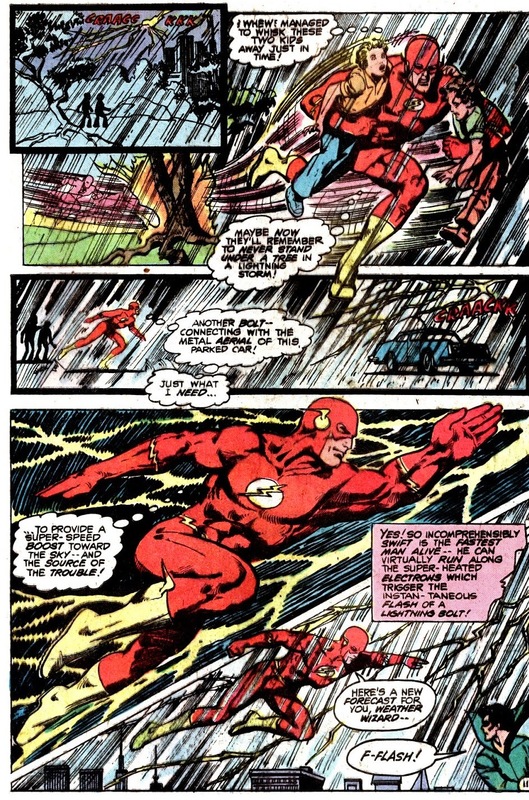 Needless to say, I was struggling to come up with another appropriate fight....until I remembered the heroine whose codename is synonymous with severe weather....LITERALLY. 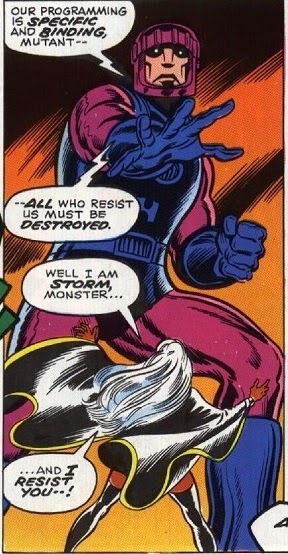 Tonight's tempestuous tussle comes from Uncanny X-Men#98, written by Chris Claremont and illustrated by Dave Cockrum and Sam Grainger. Synopsis: The X-Men are enjoying Christmas in downtown New York when they are attacked by Sentinels. 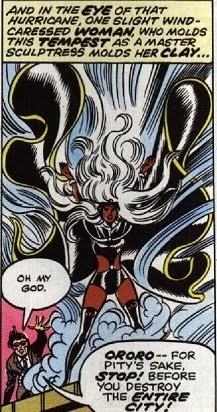 Here, Ororo Munroe aka Storm charges into battle. But before she can face the deadly robots, she must first rescue an imperiled teammate. 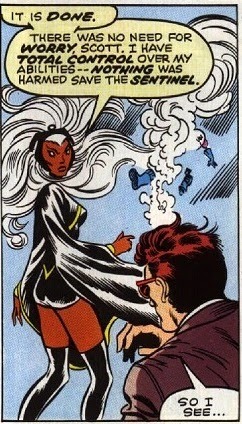 Ok, Ororo's mad now. Which means: Watch out, Sentinel! 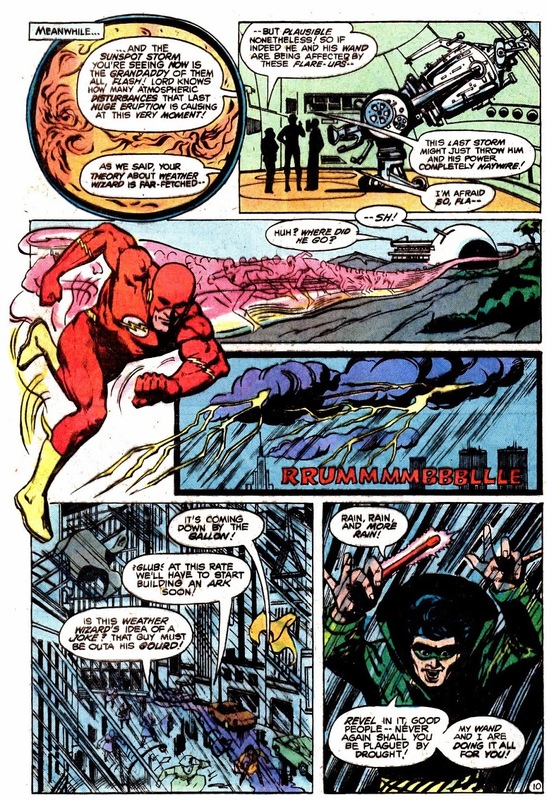 Ok, Spacebooger, is that enough of a severe weather reference for you? Tonight's prizefight is this inclement anthem by the Kooks. For more storms a-brewin', click here. And don't forget to vote! Friday Night Fights: Thunder - Round 11: Robbery, Assault, And Battery! .....er, that is. War Chest. Jeez, a little on the nose there, aren't we, Jay Faerber? 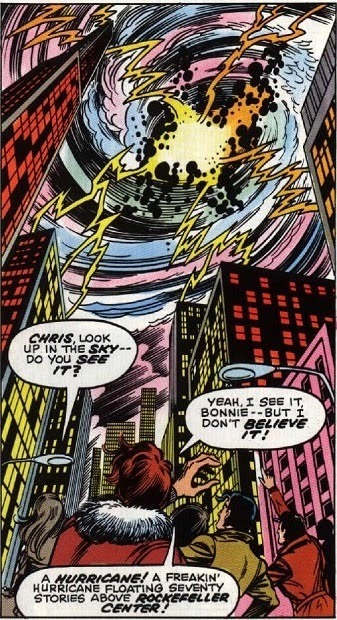 Let that be a lesson: Power Girl War Chest ain't havin' your chauvanist B.S.! For tonight's tale of robbery, assault, and battery, my fight music is going to be....well, what else? Now go over and vote!